The International Triathlon Union (ITU) Executive Board, having recently met in Edmonton, Canada, has ‘approved some significant changes in the competition rules for the 2018 season’. The changes, which include withdrawals, penalties, quotas, qualifications and paratriathlon rules updates, will be applied from 10 January 2018. In the 2018 season, disc brakes on bikes will be allowed. In paratriathlon, from now on, there will be nine sport classes as a replacement of sub-classes for PTVI and PTWC, with six Paratriathlon medal events remaining as in 2017. To avoid athletes withdrawing from events in the weeks prior to race day, National Federations will only have 48 hours to do any substitutions or withdrawals. Penalties for doing so after 30 days before the event can be avoided with a ‘joker’ rule, with a specific amount of opportunities federation by federation. One of the changes is related with the prohibited use of communication devices of any type, including, but not limited to, cell phones, smart watches and two-way radios during a competition in a distractive manner. Also, cameras, phone cameras and video cameras are prohibited unless permission is given by ITU. In 2018, an annual pre-participation evaluation (PPE) will be mandatory for all athletes competing in Youth, Junior, U23, Elite and Paratriathlon events. To miss the briefing will result in a delayed start for any competitions, including triathlon, for all categories. The delay will be determined by the distance of the event. Regarding clothing, tri suits must be textile material, while if an athlete decides to wear two caps, the second swim cap must be unbranded and the official swim cap must be on the outside from the moment the athletes’ line-up. ITU adds that the procedure of appeals and protests have been reviewed to improve its application for any type of events and categories. The penalties received for drafting violation can’t be appealed, while the rules have been clarified related to overtaking and dangerous riding. Vrious ranking criteria for events have been reviewed. 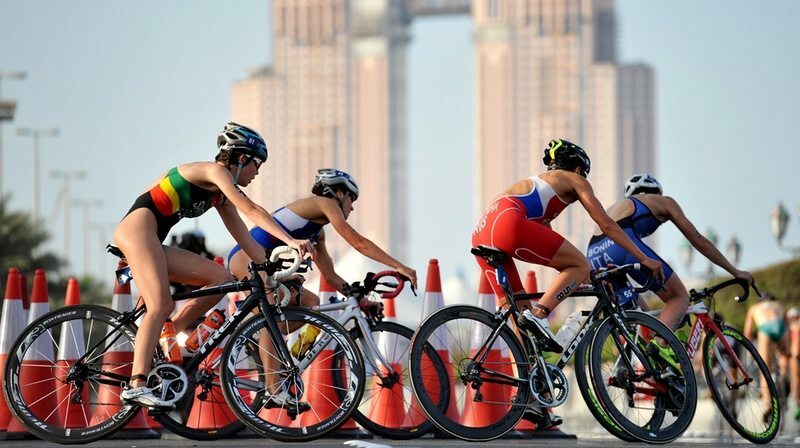 Some of the significant changes are that the World Cups will not count towards the World Triathlon Series Ranking. The former ITU Points List has been renamed as the ITU World Ranking, with all level of events counting towards it, from National Championships up to the Grand Final. Continental Rankings will now be extracted from the ITU World Ranking. Alongside the Competition Rules, the Paratriathlon Classification Rules have also been updated, ‘with the involvement of the Paratriathlon Committee, to ensure full compliance with the IPC’s directives’.